Click here to download a copy of Jay Byrne’s presentation to YPO-WPO in St. Louis entitled “Keys to Success Online: How Technology Intersects with Key Stakeholder Behaviors” on understanding social media and online best practices. 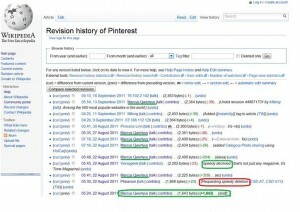 Mark Twain’s often quoted admonition that a lie can travel halfway around the world while the truth is putting on its shoes is one way to describe the power of the Internet and the delicate nature of online reputations. Indeed, when your personal reputation hits your online radar screen, you can bet, nine times out of 10, it won’t be a positive opportunity, and the truth may never see the light of day. Unfortunately, many senior executives and business owners who acknowledge the influence of the Internet for business needs discount the Web when it comes to their personal and professional reputations. Most Fortune 100 executives know about Facebook and Twitter, but surprisingly, few actively engage with these or other social media channels. Fewer still understand what matters and why when it comes to understanding and addressing online reputation concerns. To help you navigate and understand your online reputation we’ve developed this White Paper detailing how to evaluate, understand and address managing personal and other brand reputations on the Internet. 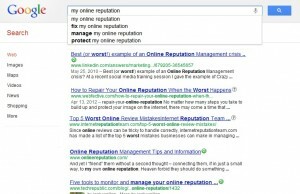 We take this a step further and provide insights into the major online reputation management services’ offerings and what you can expect from them. Click here to read and download our Online Reputation Management 2012 White Paper. While Social Media Week 2012 conferences were held in various locations around the globe, Malaysia can tout one of the most interesting and dynamic events. The Malaysia Social Media Week 2012 (MSMW2012) conference held in Kuala Lumpur February 13-17 brought in diverse speakers from across the globe to interact with the country’s robust blogging and new media entrepreneur communities. From political bloggers (Malaysia ranks among the highest per capita in the world) to regional new media application developers, participants were given a unique opportunity to engage with a diverse blend of high ranking business leaders, government officials and journalists. The event was sponsored by the Social Media Chambers, a regional NGO dedicated to facilitating dialogue, best-practice training and social media advocacy. A panel of International journalists including Asian Correspondent publisher James Craven and Asia Provocateur writer Andrew Spooner engaged with Malaysian journalists on the evolving social media impact on politics and free speech. Social media experts like South Africa’s Dave Duarte, India’s Pradeep Chopra and Murray Newlands from San Francisco shared best-practices and research insights informing more effective use of new media tools. And, all of us were introduced to Malaysian social media leaders and their experiences using new digital channels to share and export information on local food, entertainment, travel and other societal and cultural aspects of the region. High ranking government officials participated and listened throughout the conference as both local and international bloggers, politicians and activists discussed the challenges and opportunities presented by social media. Elected officials and candidates from multiple parties and opposing viewpoints shared panel sessions and openly discussed the good, the bad and the ugly aspects of social media’s influence on Malaysia’s political system (experiences, worth noting, which are not unique to Malaysia). I participated in numerous panels discussing regulatory, political and business challenges and opportunities where government ministers, business leaders and political party representatives engaged in real dialogue on contentious issues. Diverse and opposing views were openly but civilly aired – a very positive sign at at time when such interactions and engagements are often rare or non-existent. This, in particular, was a refreshing contrast to political blogging conferences in the United States (e.g., CPAC and Netroots) where typically only those with shared ideologies sit with one another presenting escalating and one-sided attacks on those who oppose their views. Australian Green Party and former Senator Andrew Bartlett, an MSMW speaker, noted the critical importance of bridging divergent political philosophies and the opportunities social media engagement offers to achieve real and positive movement benefiting people throughout the region. The MSMW 2012 created an important opening and potential example of positive engagement for other countries grappling with political, commercial and societal issues which are arising from rapid adoption and new accessibility to social media tools. Further, it helped enlarge the view into other positive social, cultural and environmental aspects of Malaysia that can help inform and engage audiences outside the country with shared interests in travel, food or entertainment. Such topics and shared interests can help transcend often polarizing political discourse which too often dominates online dialogue and mainstream media. This positive engagement should be noted and encouraged for the openings it is creating by groups researching and evaluating democracy, free speech and social media issues. 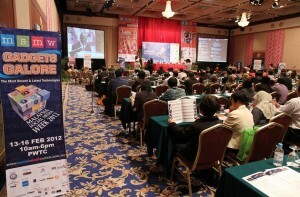 MSMW 2012 can serve as a model step forward for others navigating the challenges and opportunities presented by ever increasing social media adoption and opening of new communication channels both inside and outside their countries. 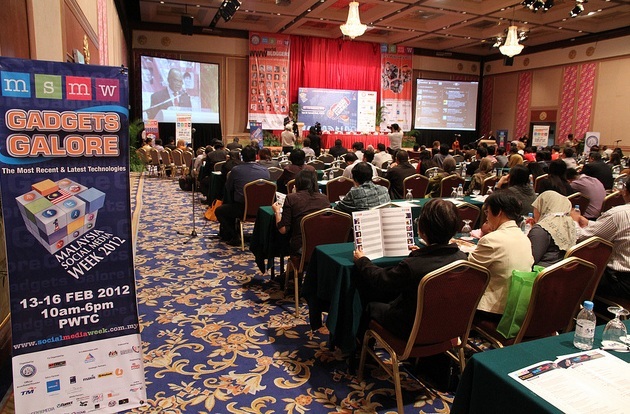 On February 14, 2012 I had the pleasure of presenting on new media strategies and effective communications at the Malaysia Social Media Week 2012 in Kula Lumpur. My presentation slides are available at the link below and here are some links to the local news coverage of the conference. Malaysian Digest – Social Media Week Highlight by Haidir Yutim. The Sun Daily – Social Media Experts to Address Bloggers Meet in KL by Neville D’Cruz. View more presentations from Jay Byrne. I’ve been asked to provide an example of intersecting real world behaviors with new media tactics. So, let’s take Twitter. While some will use Twitter for customer service, others for one-to-one and one-to-network information sharing, the fact remains that most people aren’t using Twitter or going there in their day-to-day interactions. To tweet or not to tweet… consider taking two minutes to read this before you answer. If a goal is to create awareness, linked to opinion formations which eventually support beliefs upon which our target audiences act associated with our organizational or personal goals, then we should consider how and why microblogging (e.g., Twitter, Foursquare, Tumblr or microblogging features on Facebook and LinkedIn) can support that goal. Like most social spaces, Twitter is first and foremost an “awareness” channel. Using this service you can create direct awareness of content for the people in your network and those to whom you extend your network using specific Twitter platform tactics (#hash tags, @directed tweets and RT re-tweets). However, the real value of Twitter is its power to influence broader awareness outside of the Twitter network where the majority of people reside. In 2009 Google made a minor investment in Twitter to gain access to their live and full stream of content for use in Google’s search and the Google News aggregator algorithms. 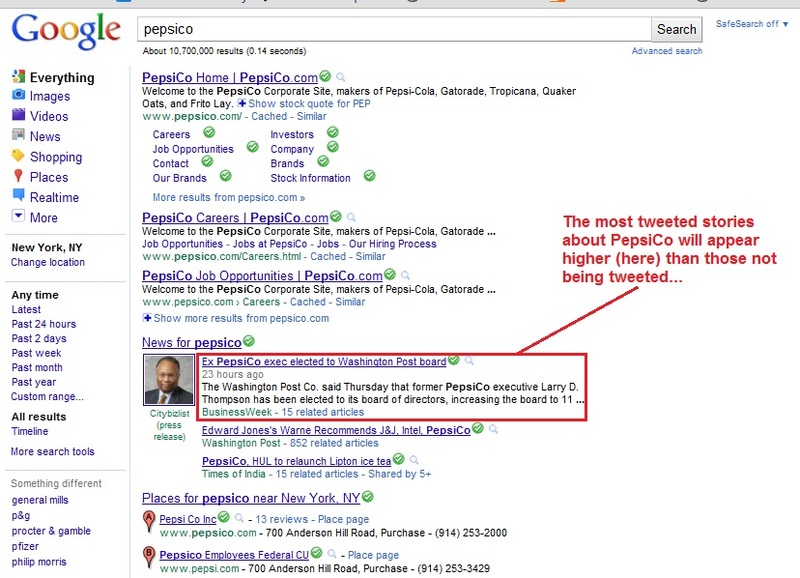 Search engine algorithms use a variety of factors to determine what search results appears above others and – this is most important for Twitter and our interests – what news stories to display on top of others in their news aggregator portals (e.g., Google News and Yahoo! News). 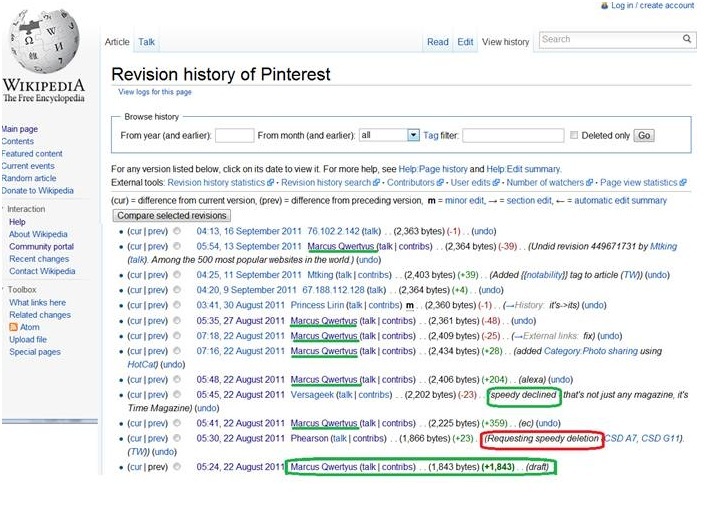 These algorithms now tap Twitter seeking keywords tied to hyperlinks associated with news to influence what news items show up on top of these news aggregators and the news portals which display their results. News portals have significant and broad influence – the content from these sites is streamed to hundreds of thousands of local news websites and topic portals where the vast majority of consumers and influential public policy figures get their news today. News and search portals are critical opinion formation spaces which can then lead to desired belief formations in support of our goals. Twitter influences which stories appear and in what order they appear giving those who have effectively Tweeted first and with the most frequency (syndication) an edge on determining what the rest of the world sees on specific topics. Twitter can drive awareness AND help influence content that determines what opinions the public forms about a given topic. 1. Inclusion of a hyperlink. On microblogs this typically involves using a URL shortening service like http://bit.ly (my preferred service). 2. 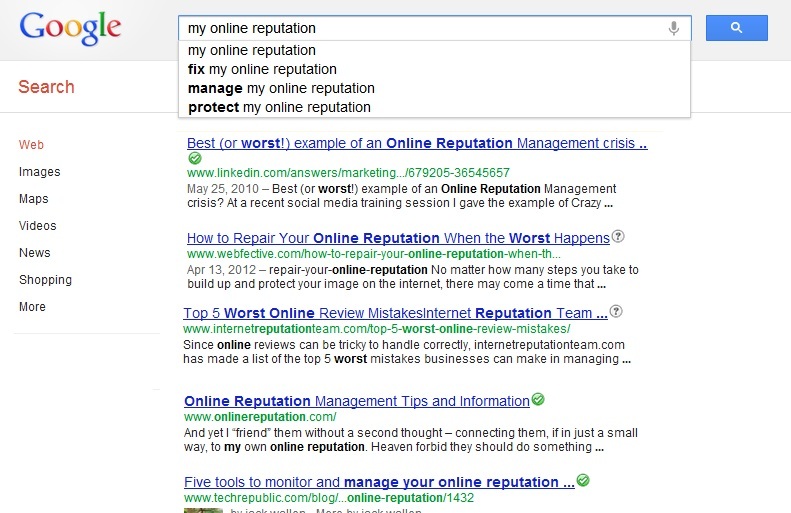 Inclusion of a relevant keyword associated with the topic, to which you can also assign a #hash tag. By including the “#” pound sign or hash tag in front of a contiguous string of characters you can alert others on Twitter interested in that topic and create new visibility for your Tweet which can help syndicate your search and news influencing links. 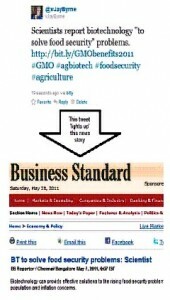 •	“First to be tweeted” – links to stories which hit Twitter first frequently appear as the top news. Speed matters. 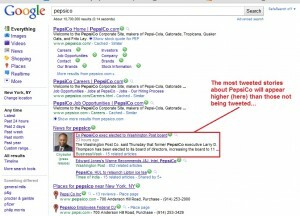 •	Most tweets (and re-tweets) – stories with the highest volume of links from Twitter frequently appear on top. Even if you aren’t an “early tweeter” you can help support those who are by re-Tweeting or re-posting their contents to your Twitter account. Size (volume) matters. •	Weight of tweets – the more people following your tweets (subscribers) gives them more weight. Further, you can add to this weight by linking your Twitter account to your LinkedIn, Facebook or other social media accounts so that your tweets are automatically syndicated to those networks. So “following” one another in our Twitter network and syndication within our other social networks, just like linking to one another’s blogs gives all of our tweets (whether we are tweeting or not) additional influence. Validation (followers) matters. If you want to influence news and search and are willing to adopt one or more of the tactics which can make that happen, Twitter may provide you with a decent return on investment. A diverse and interesting conference with a long list of social media experts like Shel Holtz, Ed Garsten, Mary Henige, etc… My presentation for Social Media Metris: Monitoring, Engaging and Analyzing Social Media can be found here. Kudos to Lee Hornick and his team for another well thought and high value gathering. In a panel presentation sponsored by the Association of Cable Communicators entitled “Social Media as a Mainstay of the New Communications Mix” I shared brief slides and comments along side of New Media Minute moderator Daisy Whitney, Pam Slay of the Hallmark Channel, Alex Dudley of Time Warner Cable, and Rob King of ESPN. A PDF copy (1MB) of my presentation slides is available here.